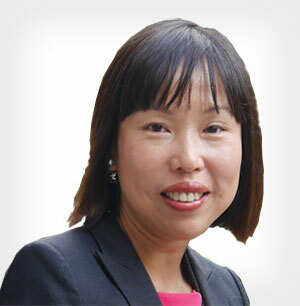 Irene Ng is Life/Health Branch Manager of Gen Re's Singapore office. She is an Associate with the Chartered Insurance Institute, and a Fellow with the Academy of Life Underwriters and the Institute of Banking and Finance in Singapore. 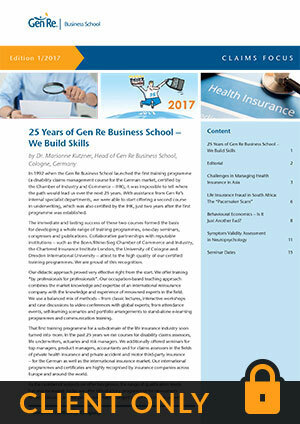 She has over 20 years of experience in insurance, reinsurance, risk management and product development. 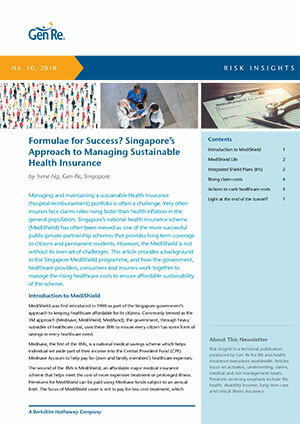 This article provides a background to the Singapore MediShield programme and discusses how the government, healthcare providers, consumers and insurers work together to manage the rising healthcare costs and ensure the scheme’s sustainability. In Asia, health insurance is an important insurance product. 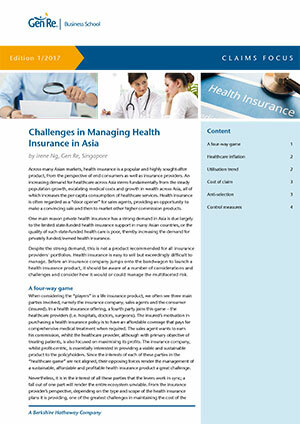 This article gives insights into the Asia-specific challenges of managing health insurance portfolios. 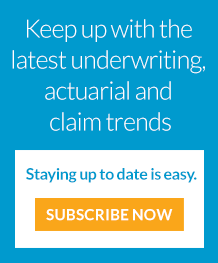 Epilepsy and Alzheimer's disease pose tremendous challenges for underwriters in Life and Health insurance companies. 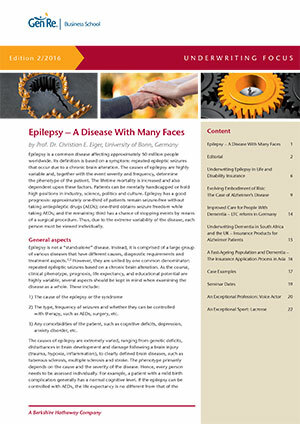 Read about clinical picture, therapy options, prognosis and insurance issues concerning mortality and morbidity.